2019 is a big year for the KTM/Husqvarna group. They have been the leader and brand pushing the envelope on the advancement of technology in the 450 market. The 2018 Factory/Rockstar Editions gave you a pretty good insight to what the bike is going to be for the 2019 season, but the KTM/Husqvarna group always finds a way to improve that model for the new model year. The shootouts are done and dusted, you know how the KTM and Husqvarana models stack up to the rest of the bikes and what the riders did and didn’t like. 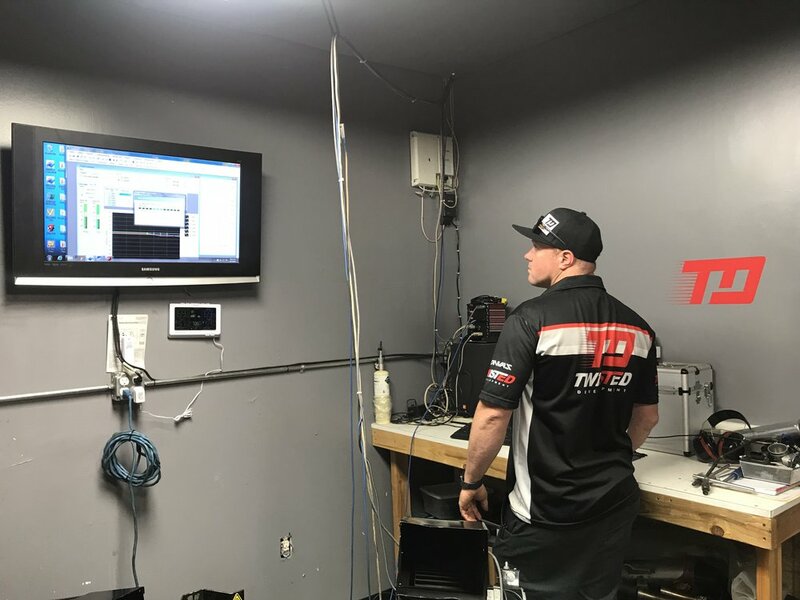 I have spent a lot of time on these models this past year and I can tell you when the first production model hit the track, I was completely disheartened with the efficiency of the EFI System. The mapping was so far off, the bike felt heavy with a lack of response. This should not be the case with these models being the lightest in the class and a new engine that produces great power. The bottom line is the EFI group completely missed the mark when it came to the mapping of the 2019 KTM and Husqvarna 450’s. With all that being said I reached out to the team at Twisted Development to see if they had the answer to getting the 2019 Husqvarna running like it should and more importantly getting the most out of a great motorcycle. The Twisted Development crew had two options for me. The first change was replacing the stock ECU with a new Vortex with a tune spec’d. Spending $700.00 on this wasn’t an option for me so I took the other option and had them tune my stock ECU with the production user setting tool. They spent an entire day on the dyno running my bike getting the very rough standard curve smoothed out. We were not after more power, we were after efficiency and a lighter feel on the track. The Dyno chart speaks for its self, in the picture you can see the stock ECU is extremely rough where the Twisted Development tune was smooth and consistent on pump fuel. Once I hit the track I could tell right away this was how this bike was meant to run. It was extremely smooth and snappy in my hand making the Husgvarna 450 so much more fun to ride. With the added response and lighter feel the overall experience riding the bike was improved. The $250 ecu tune from Twisted Development running on pump fuel was by far the best money spent on the bike that already costs over $10,000. After spending an entire day riding I could only wonder where this bike would have stacked up in the shoot out if this tune came standard. You can’t turn back time, but you can make your 2018 Factory/Rockstar Edition and 2019 KTM/Husqvarna 450’s runs the way it was intended by sending in your ECU to Twisted Development for a very dialed in ECU tune.